For many years I thought the Frank Capra genre was dead. Capra, for those uniformed, was a director who was known mainly for making the ultimate feel good movies. He directed several films, the most famous of which was “It’s A Wonderful Life,” and they are films that, no matter how depressing they got, always made you feel like a million bucks at the end of the day. What happened to those films? Well, they aren’t being made in America is all. 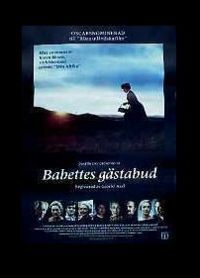 If you want to see a new Capra film though, then look no further then the Danish film “Babette’s Feast,” winner of the Academy Award for Best Foreign Language Film in 1989. This is a real treasure. For those who need a feel good movie, here is a movie that will do just that. It will make you cry. It will make you smile. You will be touched. The movie is thought provoking and - though it’s rated G - the dialog is more intelligent then dialog you’d find in most R-rated movies. 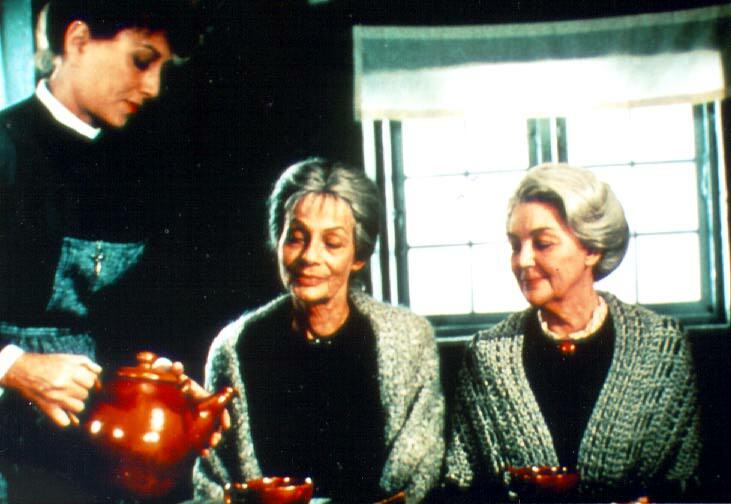 The movie revolves around the title character, Babette, who flees from France after her family is killed in a revolution of sorts, and ends up living in Denmark with two elderly sisters who run the local church. The town they live in is small and homely. There are mostly old people, with almost no children in sight, mainly because most of the people did not get married. It’s not a town full of depression, but if the weekly debates at the prayer meetings are anything to go by, you get the sense that some of the people most likely have regrets in life. Though unable to work for wage, Babette none-the-less becomes a maid for the two sisters, who appear to have the most regrets out of all the people. Though three men attempted to be their husbands, pride (and, to a certain extent, their father) kept them from marrying, and there is a sense of loss that can never be recovered. Then, a miracle happens: Babette wins the French lottery. As a way of thanking the town for their kindness, she offers to cook them a proper French meal. This is where the movie takes off, as it is both funny and observant about human behavior. To better explain, you have to understand that I’m a picky eater. Very picky. I like things simple and sweet, and food is a simple substance that I consider is there to keep you energized, and it should not be messed with beyond the basic three step process. So I could relate to the people when they question whether or not the food they will be eating is sinful. They’ve lived mainly off simple foods, which go well with their simple lives. The cooking of the food is a brilliant metaphor for how these people, while not living bad lives, may have lived them too cautiously. When dinner is served the reaction to the meal, as well as the reflections of how their own lives have turned out, is heartbreaking and touching at the same time. While there is so much that can be done with your life, contrary to popular belief, if you have achieved some good in it then your life has been a success. Mistakes will be made, but if you dwell on them too much you will not see the good that has come from your life. In many ways, this is a very spiritual film. It’s no coincidence that the movie takes place in a church, where people are surrounded by redemption and love, and yet fail to see it so many times because they are too focused on past mistakes and missed opportunities. 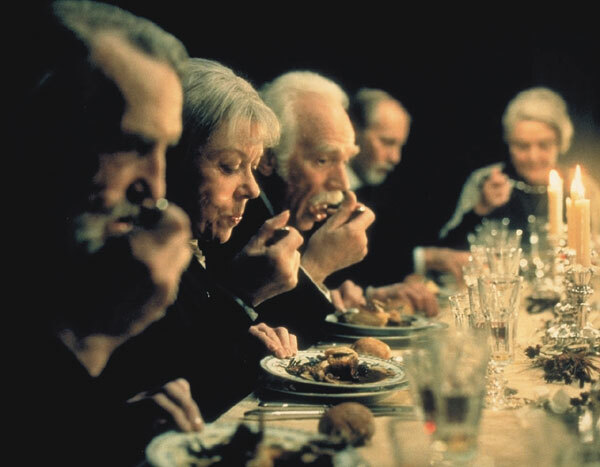 Though the movies lacks the adrenaline rush most kids seem to need in their movies these days, “Babette’s Feast” is the intelligent movie we don’t normally get. Clean, wise, and happy. A meal that will leave you full and replenished long after you finish dessert. Parents, have nothing to worry about with this oddly touching fable. Kids may find themselves bored anyway though.